Who is behind the brand BeWööd ? 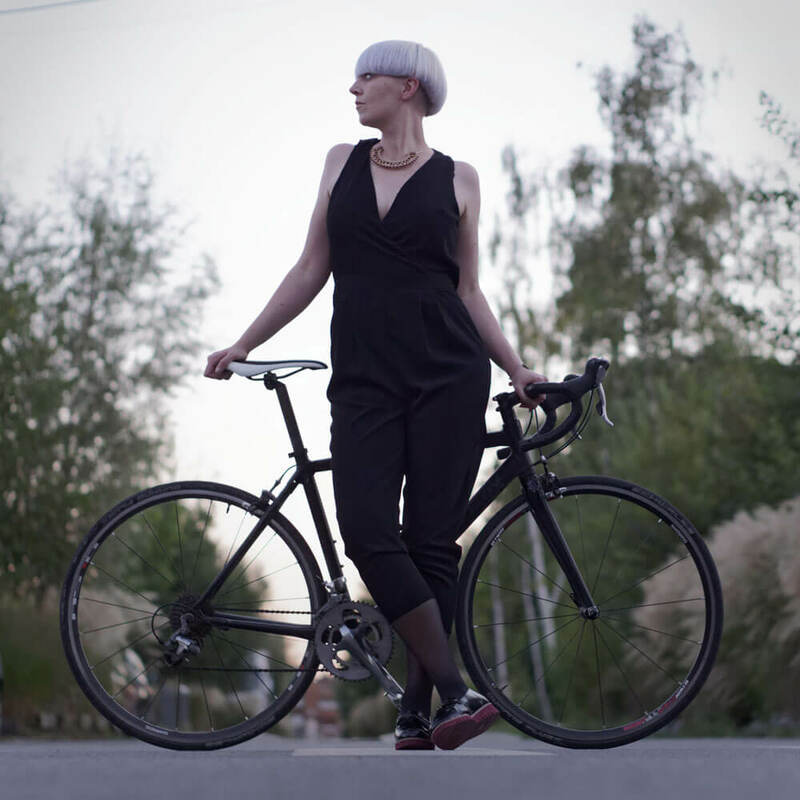 Laury Bonjean is graphic designer and she likes to cycle. 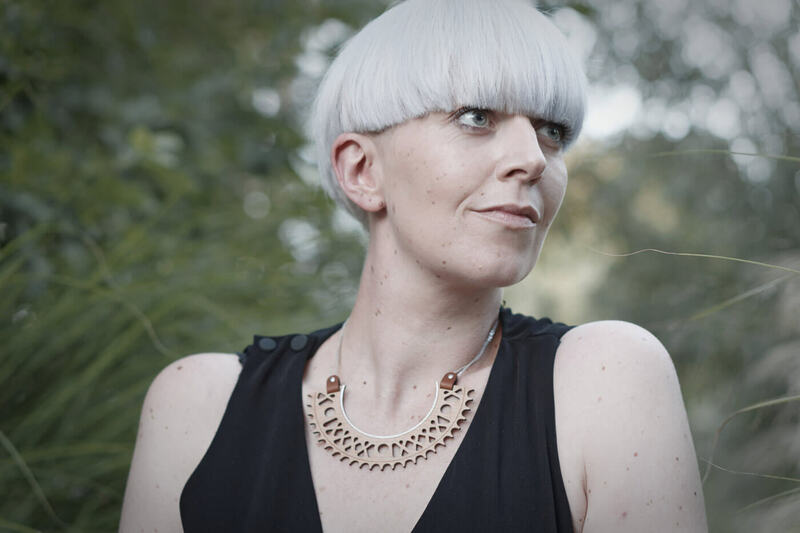 She created her brand of jewelry and accessories made with wood in 2015 in Lille. 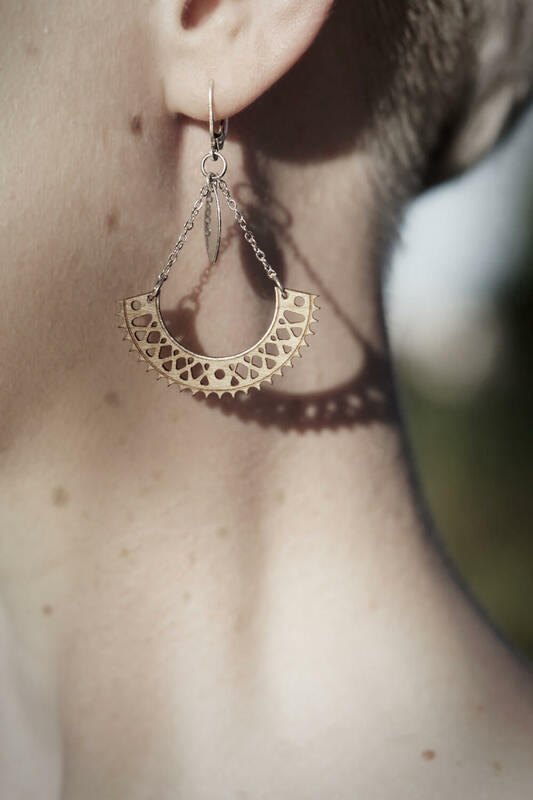 Inspired by nature, Laury creates her jewelry with graphic and simple forms that suits elegantly with the solid wood. 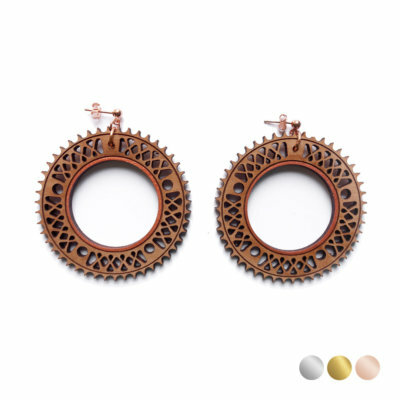 Her approach for the manufacturing of the jewelry is environnemental friendly. She is really careful about the wood and fabric origin for her creations. 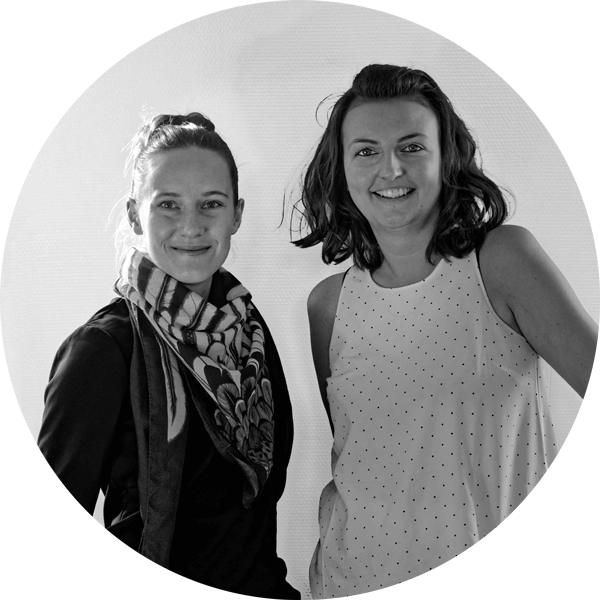 Lady Harberton and BeWööd shares the same vision of design and values, so they decided to gather their two worls for one collection. 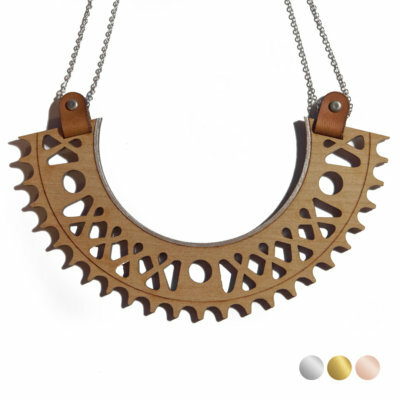 A jewelry collection made with refine materials, leather and solid cherry wood. 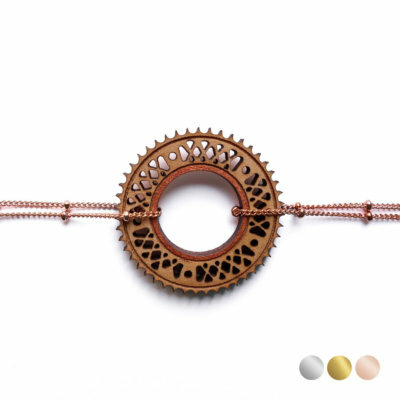 The graphic design remind the bicycle mechanisms, round and feminin, and the poetic cycling moments, feeling free, the hair in the wind and the sun warming the face. 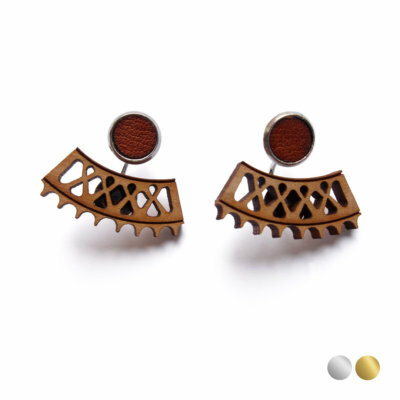 The jewelry are made with raw materials : leather and wood. The wood that has been chosen is a solid cherry wood of 3 mm of thickness, certified with the FSC label, which means that the wood comes from forests that are managed sustainably. 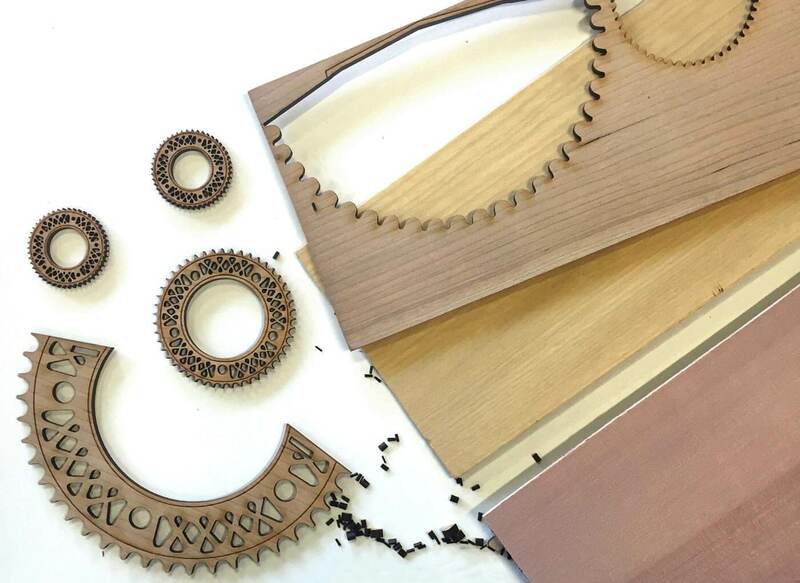 The pieces are cut by laser to guaranty a perfect and precise form. They jewelry are then made by hand. A mechanical system that can work freely without any need of a rotation force. 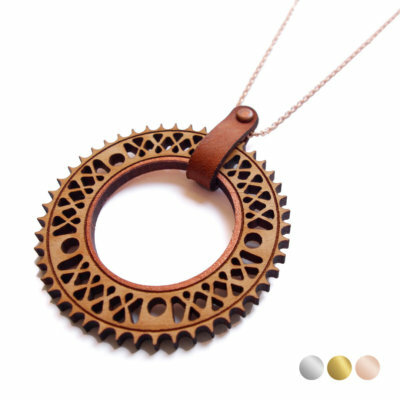 The mechanical part that composed the gears system of a bicycle, place on the cogwheel. The opposite of a fixed cogwheel. French expression that makes a reference to the cycling world. 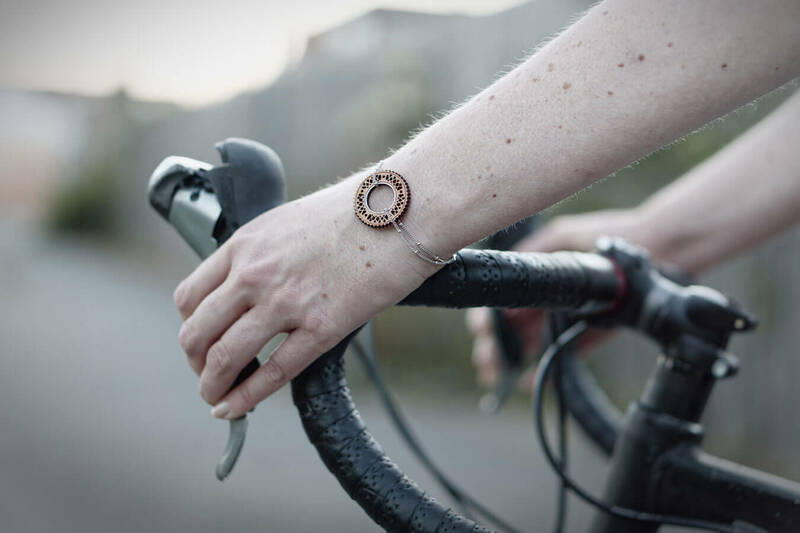 The first meaning of Freewheel means to ride freely without the need to pedal. In the figurative sense, the expression means to accomplish somehting easily, with no tiredness or act freely and with no obligations ! 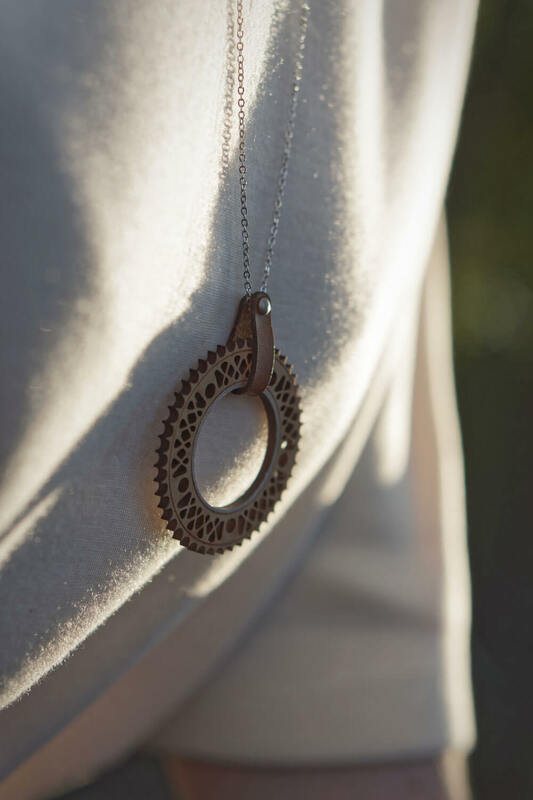 Collection of jewelry made in solid wood imagined by BeWööd & Lady Harberton and inspired subtly by the bicycle world for free and beautiful women by bike. To create this common collection, we wanted to make a reference to the bicycle culture in a way more subtle than a simple bike shape. 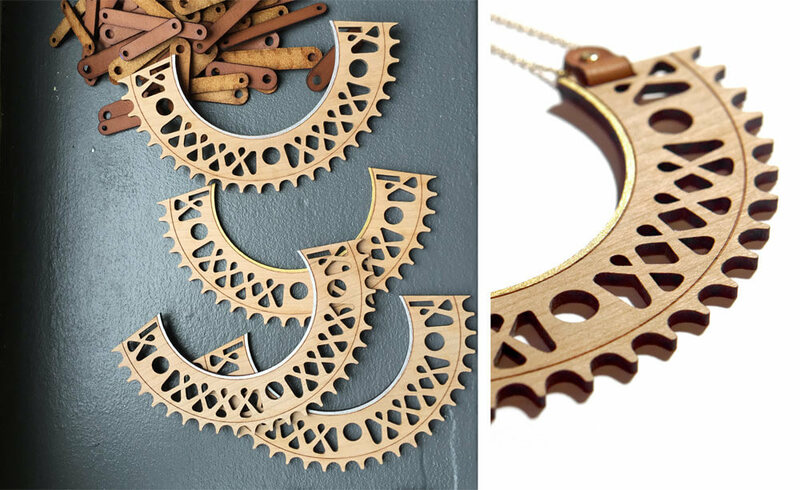 We have been inspired by all the cogwheels and bicycle drives that make the bicycle mechanism. 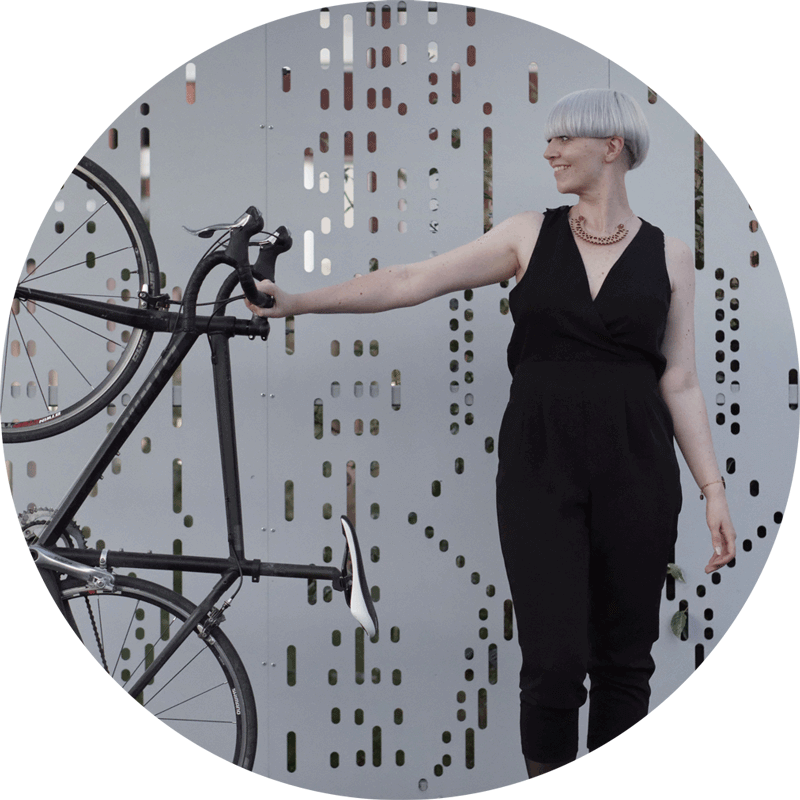 The graphic forms are sometimes really well designed, made with metal, they highlight the bicycles like jewelry ! 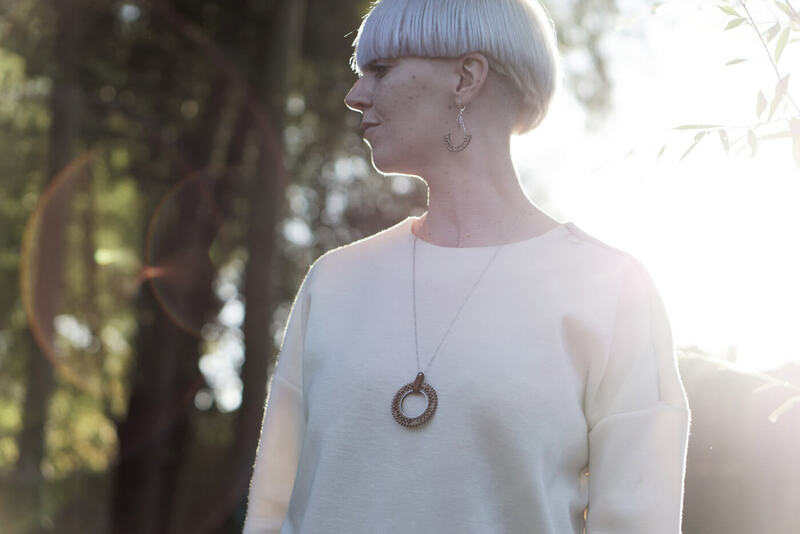 Before she came to live in Lille, Marion lived all her life in Denmark. For her, moving by bike is a second nature… When she arrived in Lille, she has noticed that french used less the bicycle to move than in her native country. 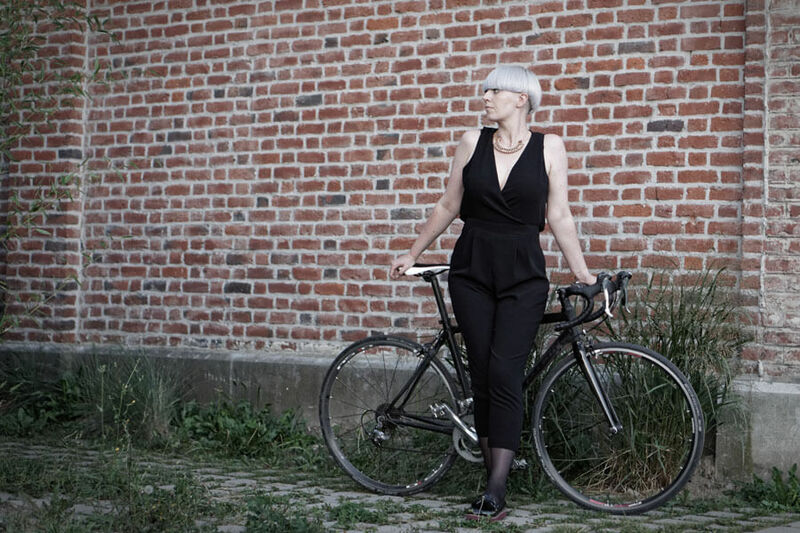 She decided to honor the bicycle world and urban cyclists of Lille in her blog Styr (which is pronounced “Stur” and means handlebar) to show that it is possible and cool to move by bike everyday !